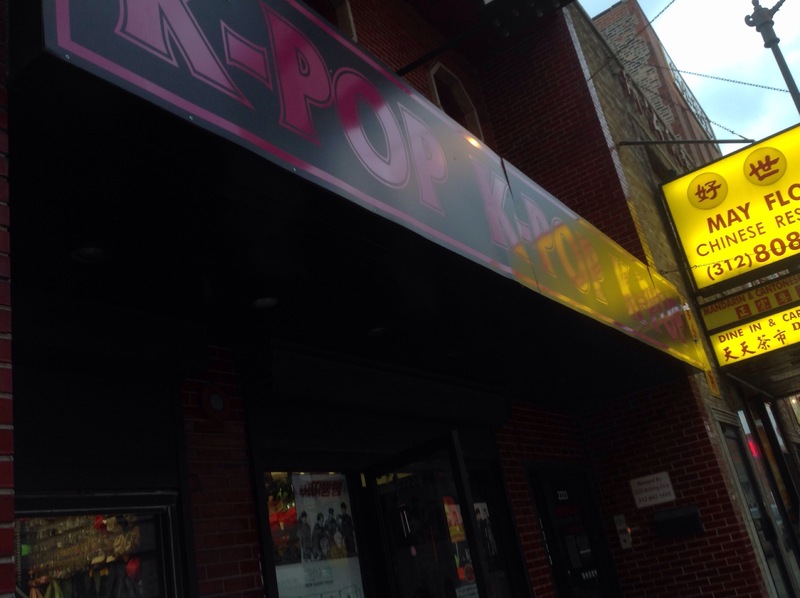 In old Chinatown pretty close to the main arch on Wentworth Avenue is a small little shop that reads Kpop Kpop Kpop. Kpop is a shortened term for Korean pop music. No photos are allowed on the inside but if you walk up the steps past the Chicago tourist items the ceilings are decorated with wall scrolls of Kpop artists and the walls are filled with CDs and all sorts of Kpop things from fans to lights to socks to mugs. On the walls towards the ceilings are several TVs where they play Kpop music videos. It’s a pretty good place to take anyone you know who is a fan of Kpop. The shop also contains a ton of cute accessories as well. If you have a bag or anything larger than a small purse you may be asked to put it under a table at the front. There is a sign.